Aeroflot’s budget subsidiary will be called Dobrolyot, the airline revealed on Oct. 10. This was the name of Aeroflot’s predecessor — a joint-stock company founded in 1923. “In our view, the name is very fitting and nice, as it conveys the idea of kindness,” Aeroflot CEO Vitaly Savelyev was quoted by Interfax as saying. Dobrolyot was established on Oct. 4, Aeroflot stated in a disclosure filing. The former CEO of Avianova — a low-cost airline and project of A1 investment company that went bankrupt two years ago — will head the new airline. Dobrolyot will start flying in the spring or summer of 2014 and will be based out of Domodedovo. A spokesperson for the airport declined to comment. Aeroflot will invest $100 million in the new company, which it expects to recover in two years. In its fifth year of operations, Dobrolyot will carry 10 million passengers (Aeroflot’s 2012 passenger turnover was 27.5 million). 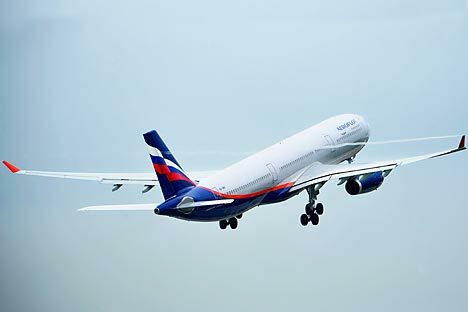 Savelyev admitted that Dobrolyot would poach 1.2 million passengers from Aeroflot. He expects Dobrolyot’s market capitalization to reach $1.4 billion, three to four years down the road. For reference, Aeroflot was worth 61.27 billion rubles in mid-October ($1.9 billion at the current exchange rate). Savelyev promised that Dobrolyot would be a stand-alone airline “with maximum decision-making independence,” but Aeroflot’s board of directors has already approved the key operating parameters for the new carrier — including its route network and flight frequency through 2016, as well as its corporate style, which was designed by Landor. Unlike previous airlines that attempted to serve the low-cost niche, Aeroflot’s subsidiary will operate brand-new planes. Sky Express (a project by Boris and Alexander Abramovich) was flying 15-year old Boeing 737s, while Avianova operated А320s that were between three and seven years old. Dobrolyot will fly the new Boeing 737 Next Generation. Aeroflot’s board of directors will discuss acquisition of the first eight aircraft on Oct. 16. The value of the deal has not yet been disclosed. “Any new project involving eight planes entails certain risks, but Aeroflot can get a good deal on the planes and on raising finance for other areas,” Aviaport agency’s analytical department head, Oleg Panteleev, said. Dobrolyot’s fleet will have to expand “exclusively with brand-new planes” every year and will reach 40 aircraft in five years’ time, the presentation promised. “This is very important, because only new planes can ensure uninterrupted execution of the very busy schedule typical of low-cost carriers,” former Avianova CEO Konstantin Teterin said. Because Sky Express and Avianova were operating used fleets, their planes were prone to frequent breakdowns, which resulted in frequent flight delays. Dobrolyot’s preliminary route network has been designed three years in advance (see inset). An Aeroflot spokesperson said, however, that the route parameters might change once the project is up and running. The plan is for Dobrolyot to operate 150–180 flights weekly to eight destinations in its first year, with an increase to 11 more destinations in its second year and to six more in year three. Teterin noted that establishment of the new airline will be a game changer for the low-cost air travel market: Aeroflot has successfully lobbied legislative changes that help improve the efficiency of the low-cost carrier business model. “This doesn’t mean the market is ready. This means that administrative resources have been involved, because there’s a will at the state level to create this budget carrier,” said Teterin. The Aeroflot CEO hopes to see the requisite legislative changes passed before the end of 2013. A Ministry of Transport spokesperson said drafts of all the required amendments had already been sent to the government and the State Duma. The spokesperson also expressed the hope that they would be adopted before the year is out. “It might so happen that the proposed legislative amendments will be more beneficial for the parent company than the risks of establishing a new company,” Panteleev said.